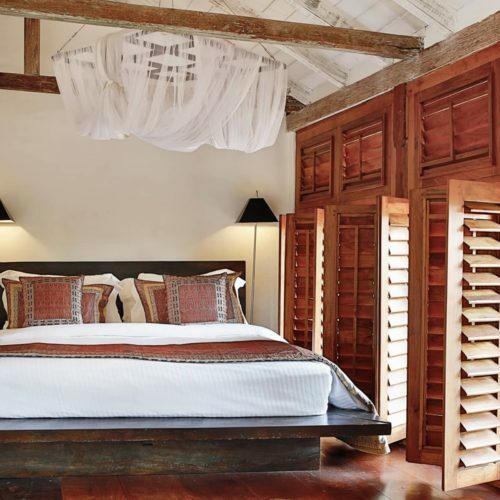 An historical retreat, located in the heart of the UNESCO Heritage Galle Fort, The Fort Printers offers boutique accommodation with the feel of a private home. Formerly a school and printers, this elegant 18th Century mansion with Dutch Era Foundations, has been sensitively renovated by husband and wife team (Dorine and Shahzad) and successfully marries contemporary design with original features (tiling, wooden floor boards and balustrades) and antiques against a backdrop of white-washed, vibrant Indian rugs and silk cushions. 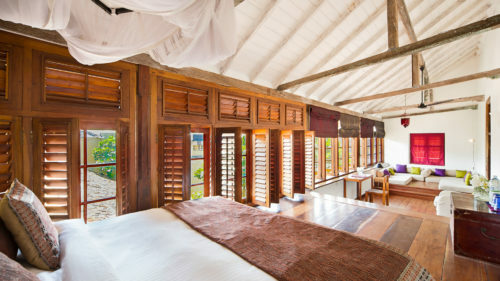 The Fort Printers comprises five spacious suites and a Villa, which has recently opened in 2013 opposite, with three bedrooms which can be taken over exclusively under one key. 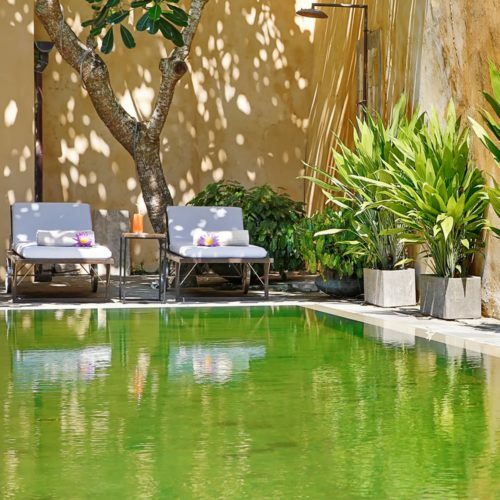 The swimming pool offers respite from the heat and guests can dine alfresco on seafood and Mediterranean inspired and traditional Sri Lankan cuisine in the Frangipani courtyard or within a grand dining room. The Fort Printers gives guests a taste of Galle's thriving art and cultural scene, by regularly exhibiting local photography and artwork. The property serves as an ideal base, from which to explore the colonial culture of Galle Fort, home to an excellent array of shopping, restaurants and nightlife.